We love travel, but try to avoid big city tourist crowds, preferring to seek out hidden gems. Azamara’s extended stays enabled us to indulge our love of exploring off-the-beaten track while we were in Istanbul. We decided to leave the well-known Sultanahmet district behind after a brief stroll through its crowded streets. A short taxi ride took us to the Edirnekaptı district, where we were able to experience not only some welcome peace and quiet, but a feeling of traveling back several centuries in time. This quiet neighborhood near the northwestern remnants of the ancient city wall is home to the Kariye Museum, which contains beautiful mosaics and frescos. The site of the museum reveals Istanbul’s rich history. The original structure was built in the 4thcentury as an Orthodox Church. Since it lays outside the city walls raised by Constantine the Great, it bore the name Church of the Holy Savior Outside the Walls, or Chora Church (the word ‘chora’ means country). The church was reconstructed and decorated with mosaics and murals during 11th through 14th centuries. During the Ottoman era, the church became a mosque. The building became a museum in 1948, after renovations uncovered and restored its Byzantine artwork. When we entered the museum, we immediately felt a sense of mystery and solemnity. Walking through the former church, heads tilted backward to gaze at the beautiful mosaics on its domed ceilings, we gasped at the artists ‘skill. The mosaics bring Biblical stories to vivid life, creating a sense of movement and life. Light bouncing off the multi-hued tiles brings texture and motion to scenes depicting Jesus, Mary, Joseph, the Magi and angels. A side chapel off the main structure contains the tomb of the church’s founder and his family. Frescos rather than mosaics decorate this portion of the building. Fittingly, the artwork here revolves around themes of death and resurrection. We left the museum with that feeling of slightly altered perception which comes from viewing breathtaking art in a deeply historic setting—travel really is the best "drug"! The Byzantine mosaics here are well worth the trip beyond the city center. Without the benefit of an overnight stay in the city, we might have missed the Kariye Museum’s breathtaking art. 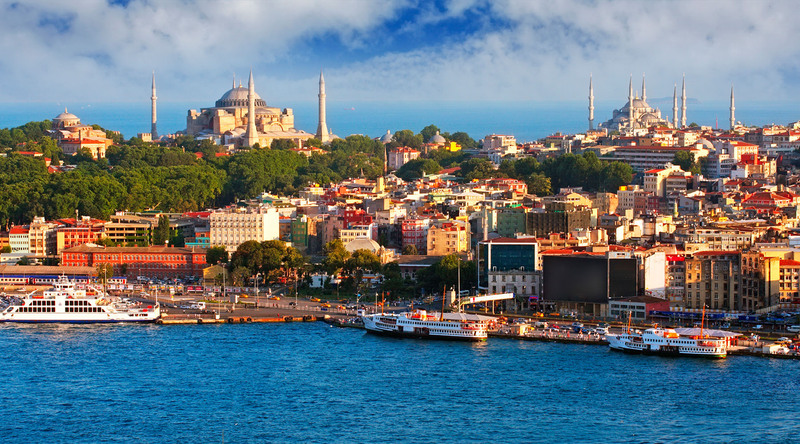 Azamara has many upcoming voyages calling on Istanbul, Turkey. Click here to view them.